APW! Can you believe it?! Exciting news! 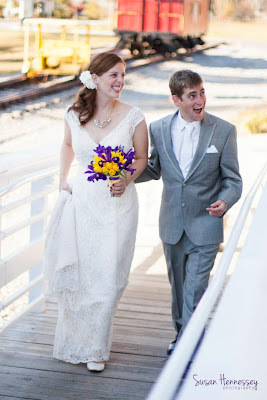 I have a guest post up on A Practical Wedding today. If you do not read A Practical Wedding and are in any way considering marriage or wedding planning or you just feel like having a good cry, then APW is the blog for you. I read it religiously in the year or two leading up to our wedding, I bought (and reviewed!) the book the second it came out, and I'm thrilled to contribute my thoughts and words to such a fantastic website. The piece is a version of something I wrote here a few days before the wedding, so regular readers and friends might recognize it. If you're a new reader who clicked over from APW: welcome! I've collected my wedding-related posts in one handy place, and I'm still in the midst of recapping the actual day. I hope you find something you like, and feel free to say hello - I love new friends.